We provide complete solution ofInsulation Pre Compressed Pressboard that are used in various types of transformers. We offer these per compressed press board as per the requirement of clients in various parts of the world. These are manufactured using high grade of raw material and are supplied at competitive prices with different specifications. We are the renowned importers and traders of an exotic range of electrical insulation materials. These are widely appreciated for excellent electrical and mechanical property and for their robust performance & durability. These are manufactured using high grade of raw material and are supplied at competitive prices with different specifications. In addition to this we also provide glassine paper and medical paper. As to provide extreme quality packaging machinery and materials, we have latest technology & high performance machineries in our manufacturing unit that are capable of handling bulk of requirements made by various clients. We use extreme quality of raw material that is procured from quality driven organizations. We manufacture all the products as per the requirement of clients by understanding the complete requirement of clients. We manufacture all the products as per the Industrial standards. We also engaged in customization of these electrical insulation materials as per the requirement of clients. We have a wide clientele that is spread throughout the world. We offer all these products in excellent packaging. We export these in various parts of the world at competitive prices. We provide complete satisfaction to our valuable clients by offering excellent quality of products. Established in the year 1995, at New Delhi, (Delhi) India, we Vijaya Mercantile Pvt. Ltd., are one of the leading manufacturers and exporters of a wide range of Electrical Insulation Materials. 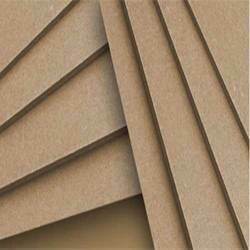 These include Insulating Material, Pre Compressed Press Board, Electrical Grade Insulating Kraft Paper, glassine paper and medical paper, Insulation Pre Compressed Press Board, Press Board Type, Presspahn Papers and Capacitor/ Condenser Tissue Paper. Further, these also include Electrical Grade Insulating Crepe Paper, Condenser Bushings for Transformers, Nomex Paper, Polyester Film/Nomex Paper Flexible Composite Material (NMN) and many more. We are looking for International bulk enquiries from Gulf, UAE, Muscat, Oman, Dubai, Qatar, Baharain, Saudi Arabia, Doha, Riyadh, Nigeria, Ethiopia, Tanzania, Egypt, Turkey, Algeria, Ghana, Angola, Niger, Zimbabwe, Tunisia, Libya, Namibia, Europe, Uk and USA.